Do you know that you can increase your score for removing balls if you turn off viewing of upcoming balls? 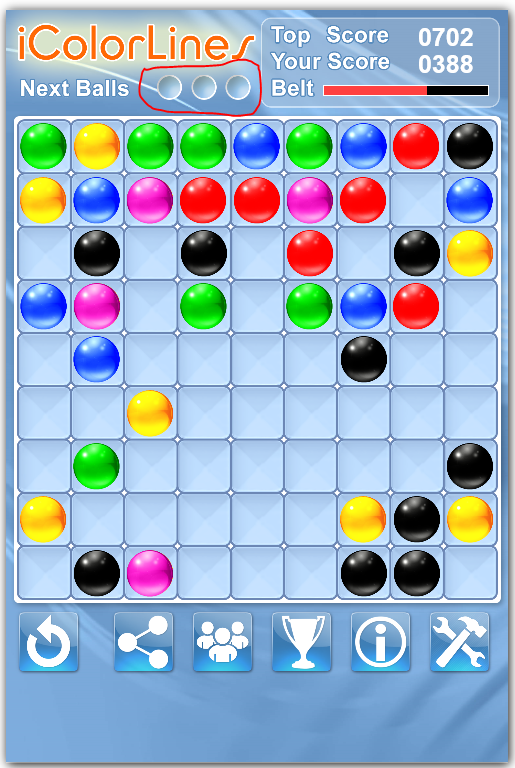 Hint: just click on “Next Balls” in the beginning of the game and earn extra points. You can turn it back at any time. For example: You removed one line of five same color balls. If you have had “Next Balls” visible, you would earn ten points. If not, you score will become eleven because of one point as an extra bonus.